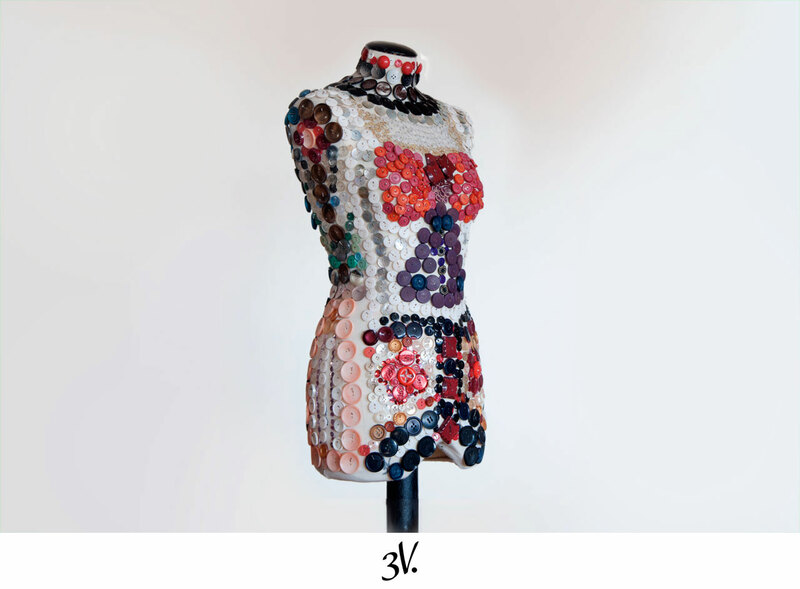 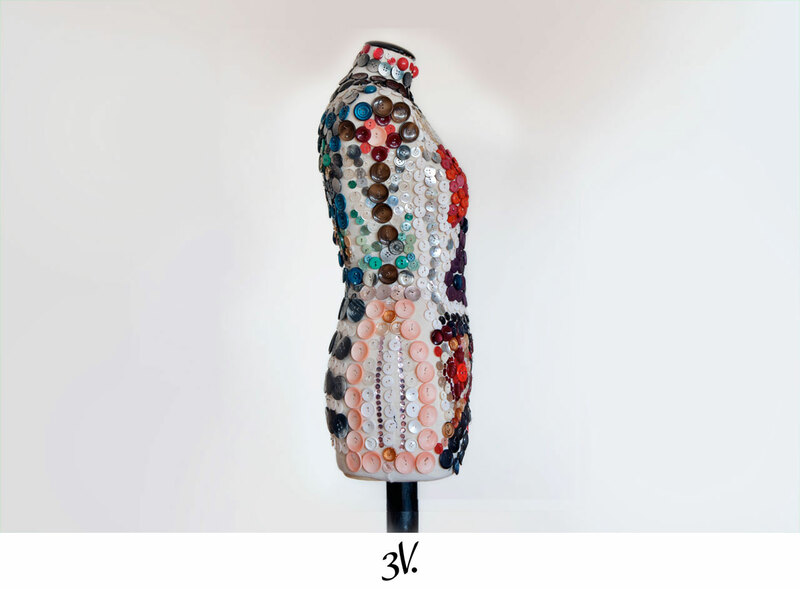 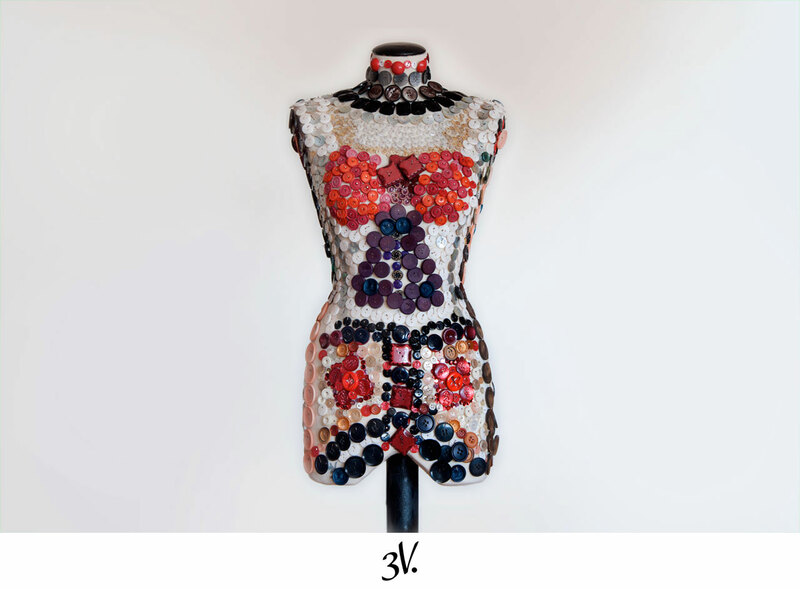 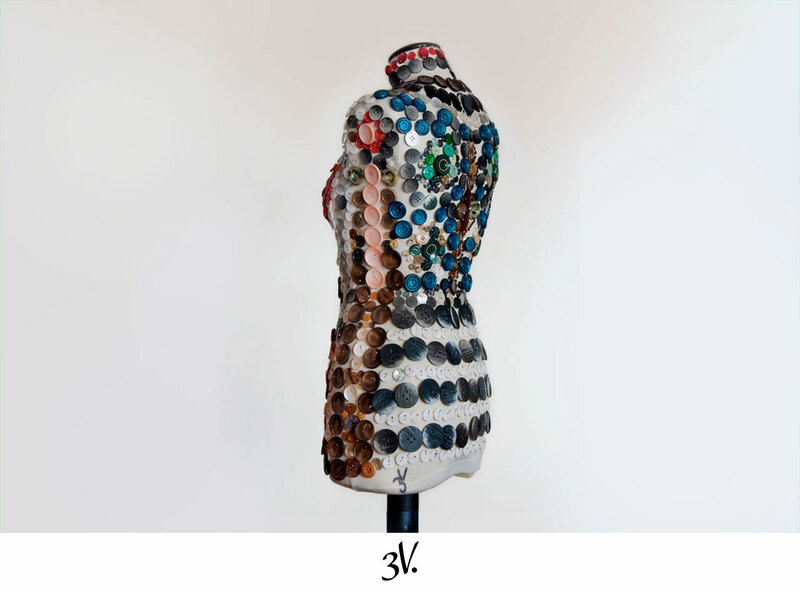 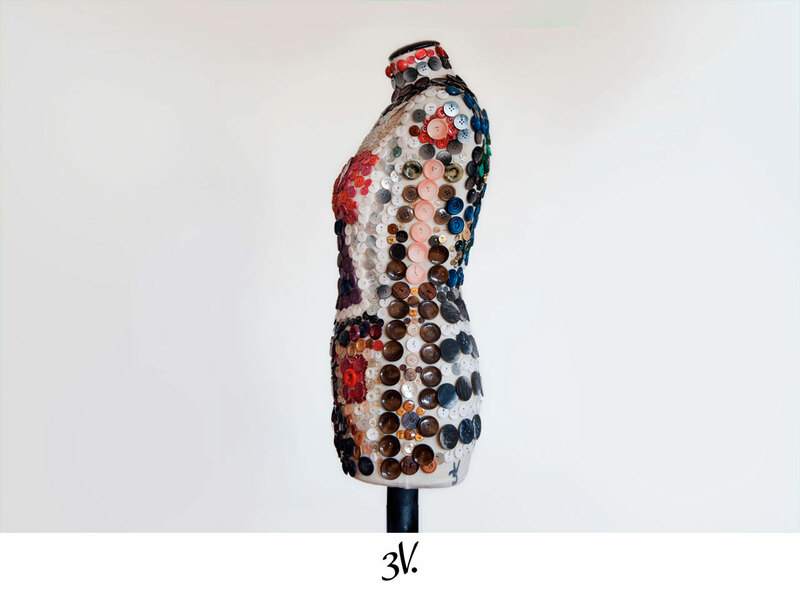 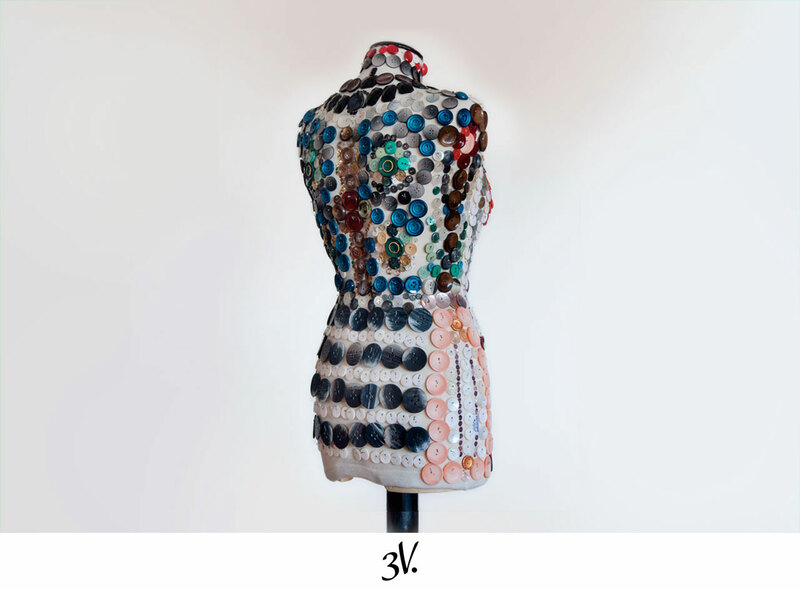 The design is composed of more than 2,000 buttons, entirely covering up the mannequin. 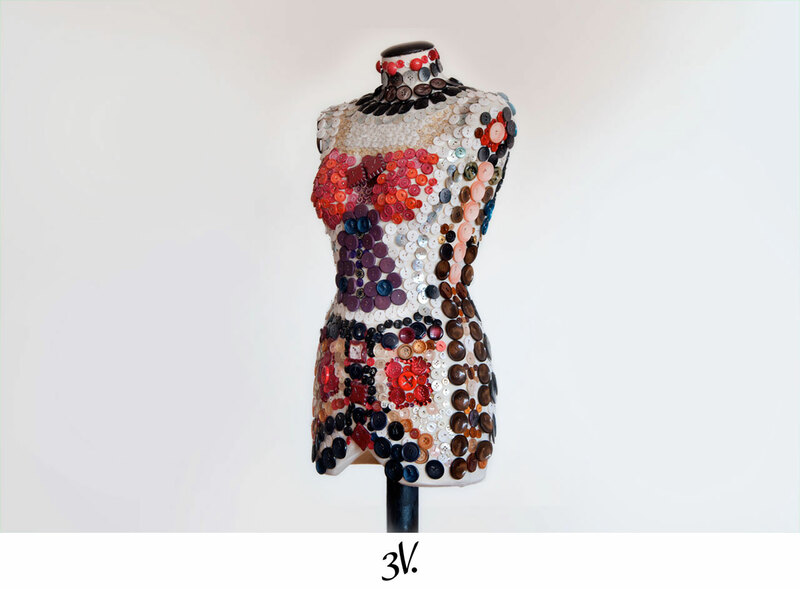 On the front top of the mannequin, a bow with a large knot covers the design of the skirt which is finished off with 2 flowers. 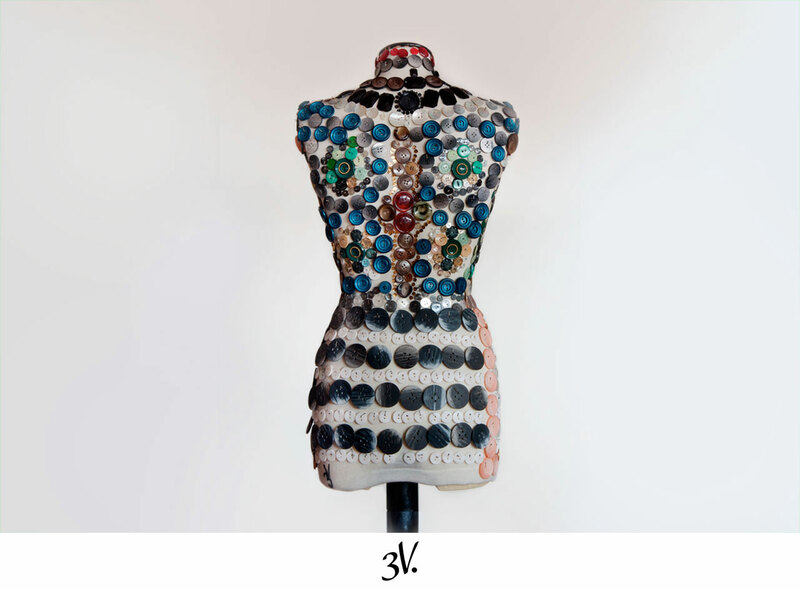 The back is held in darker tones with buttons illustrating 4 flowers as well as a skirt in black & white tones.